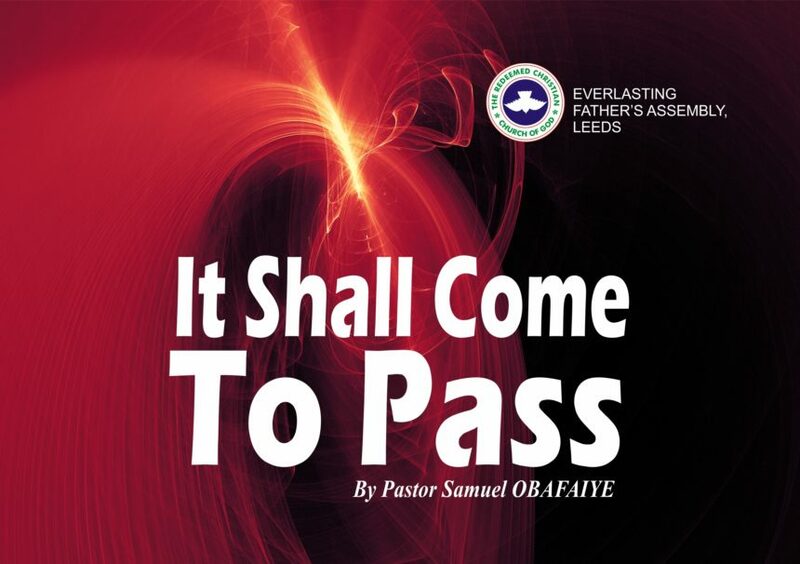 According to the English Dictionary, “come to pass” is an idiomatic expression which means: to happen; to take place; to occur; to come about; etc. after a period of time. The phrase “come to pass” often indicates that what is happening is the result of a course of events. Not an isolated occurrence. There is a direct link between what is happening, with what has transpired before. It could be a promise/vow/oath/prayer/prophecy/threat/etc. that is now playing out. Many of us had certain expectations and desires for what we want to happen in 2018. At the crossover service and in the course of the year, there are petitions that we might have put before God. Right now, that there are 29 days left to the end of the year; it is possible for one to be discouraged, dismayed and disappointed as some of these requests may not have happened yet. Though I’m not sure when the requests will be granted; but if what you have asked according to the will of God, what God has asked me to tell such people this morning, is that it shall come to pass; it shall occur; it will take place; it will happen; it will come about in Jesus name. I make a decree that all that you ought to be; you will become in Jesus name. May God make all forces on Earth, in Heavens and underneath the Earth to cooperate with you either willingly or compulsorily in Jesus name. 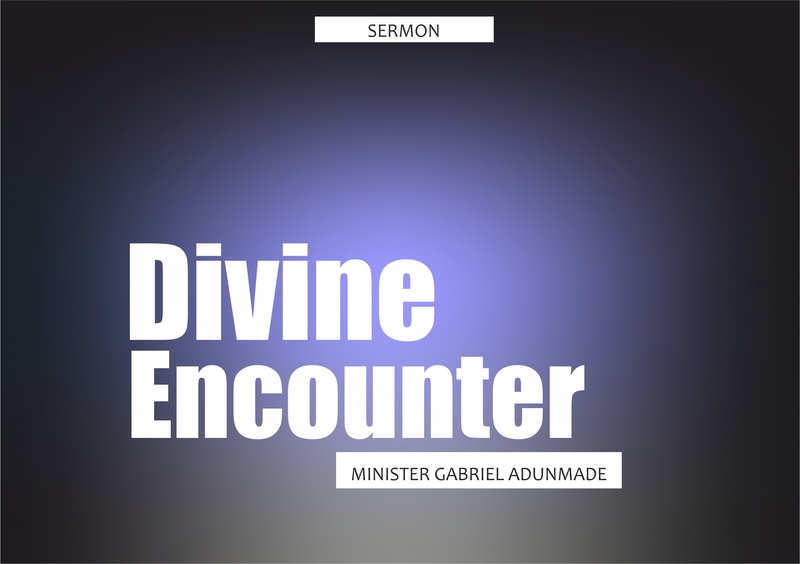 May everything the Lord had pre-ordained for your destiny come to pass in your life in Jesus name. There are biblical characters that waited for a while on the promise of God or prophecies from a servant of God, and in the process of time; such promises and prophecies ultimately came to pass. Yours shall not fail in Jesus name. In I Sam. 1: 1-20, the Bible tells us about a woman called Hannah. She had a husband called Elkanah that loved her; the only problem is that Hannah was barren. He husband married a second wife called Penninah which made matters worse, as Penninah was having children and was always provoking Hannah to tears because of her predicament. Hannah and her family used to go to Shiloh yearly to worship God. She must have been making her petition for a child to God year by year. It, however, came to pass that on this particular year, Eli the High Priest sealed her petition with a blessing. That same year, it came to pass that she had a male child called Samuel, who later became the High Priest. She also had five other children afterwards (I Sam. 2:21). You have been mocked and even provoked by something you should have had; I decree in the name of Jesus, that you having that something shall come to pass. There is someone here, I am led by the Spirit of God to tell you that your coming to Shiloh this morning is a different one. A seal of approval has been released for your usual request. Go in peace: and the God of Israel grant thee thy petition that thou has asked of Him. Today, your time has come about to give birth to what you have conceived in the spirit before now. The arrival of your ‘Samuel’ shall come to pass. As you go away from church this morning, you will eat your food with joy and gladness; and your countenance shall no more be sad in Jesus name. In Gen. 7: 1-10, the Bible tells us that God was fed up with the wickedness of human race and decided to wipe off mankind with water. He, however, chose to preserve Noah and his family. God asked Noah to build an Ark that will hide them from the flood. Noah built the ark for 120years; in those years, he preached to the people to desist from evil and be saved. They, however, mocked him all through. Seven days before the start of the flood, God asked Noah to enter the ark and expect the rain to begin. The people would have laughed, and laughed and laughed. But it came to pass that after the 7th day that the waters of the flood came upon the earth. It must have been terrifying to see what the faces of the people would have looked like. There is someone here, you have suffered mockery and scorn for doing the right thing. Families, colleagues, friends, etc. have been laughing at you because you stand for what is right, but it looks like they are having a ball and you do not know what you are doing. Can I tell you what the Spirit of God says to me? He says, your own daughter is about to start. Seven days from now, among those that have mocked you, they will tell you that you were right after all. There is someone here, your combination of good deeds and patience have come up before God for a memorial. God says, He will demonstrate His special favour on you. In Gen. 24: 1-27, the bible tells us that Abraham called his chief servant Eleazer and commissioned him to go to his hometown to look for a wife for Isaac. It was a difficult assignment for Eleazer, as the journey was far, and the whole town knew that Abraham’s wife was barren when they left. Moreso, the lady might refuse to leave her family. Eleazer, however, went on the journey and put a petition before God. That let it be that any lady he asked to give him water to drink and did, and also said she will fetch water for their camels also, should be the wife that God had prepared for Isaac. It came to pass that as soon as Elieazer finished speaking those words, Rebekah emerged. As soon as Eliezer asked her for water to drink; she said she would also fetch water for their camels also. When he inquired from her who she was; she was related to Abraham! That was how God answered Eleazer’s prayer and divinely selected the wife for Isaac. It was a time in the evening when ladies go to fetch water, but it was Rebekah that came out first. I pray for someone here, May time and chance work together for you. Every prophecy declared about you shall come to pass. There is someone here, you are kind and generous to people, but you have not really experienced what you can call a payback; God says He has a surprise reward for you. You will enjoy it in Jesus name. From Nehemiah Chapter 1, the bible tells us how Nehemiah was briefed about the bad condition of the City of Jerusalem and its inhabitants. This made him very sad. He wept, fasted and prayed. God gave him a miraculous opportunity to present his case to go and repair Jerusalem to King Artaxerxes; which was approved by the King with necessary provision. When Nehemiah got to Jerusalem, he was welcomed by the people, who were happy to join in the work. However, certain foreigners living in the land gave him huge troubles, so that the project should be stopped. In Neh. 6: 15-16, the Bible tells us that it came to pass that the whole project was completed in 52 days, and when their enemies and heathen around them heard and saw this, they were much cast down in their own eyes, for they perceived that the work was wrought by God. It is possible that you have been laughed to scorn; you have been despised and mocked. You might have even been conspired against and efforts might have been made to assassinate your person or character, I decree that the heads of all those who have done these to you shall be cast down in Jesus name. Your laughter shall be the best, as it will be the last. None of your enemies shall laugh after yours. You are here, you are working on a project now; whatever that project might be… but there are several oppositions, hindrance and even disapproval regarding it. Don’t give up; it shall come to pass that the project shall be completed in Jesus name. Engage with people that God has laid in your heart to assist you (Nehemiah/Elders, Solomon/Nathan, Joseph/Pharaoh officers). Father, for the remaining days of this year, I will not experience any woe or terror. Father, no matter how angry or wrath Satan might be, I will not be his victim.